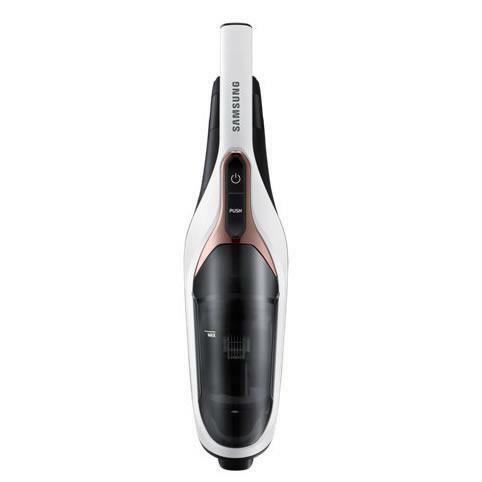 Samsung POWERstick features detachable 21.6 V lithium-ion battery, EZClean technology and washable filter. 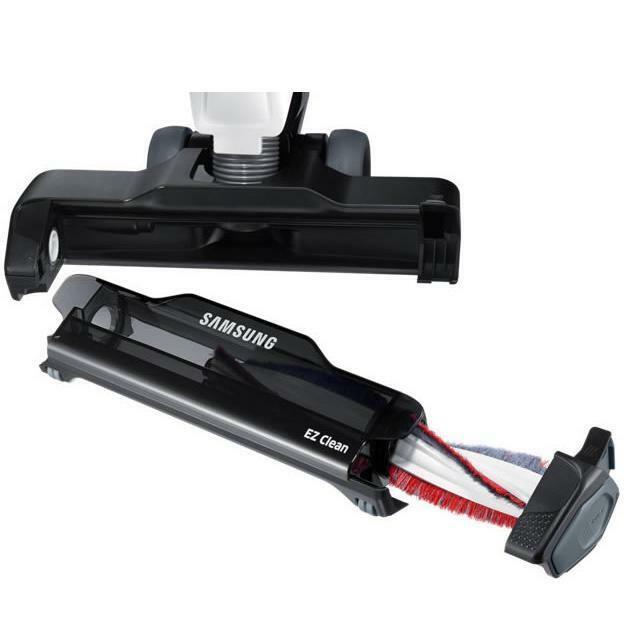 Samsung POWER™ stick vacuum includes dusting and crevice cleaning accessories that are built-in to the handle. Quickly switch to the best tool without wasting time looking for or attaching it. 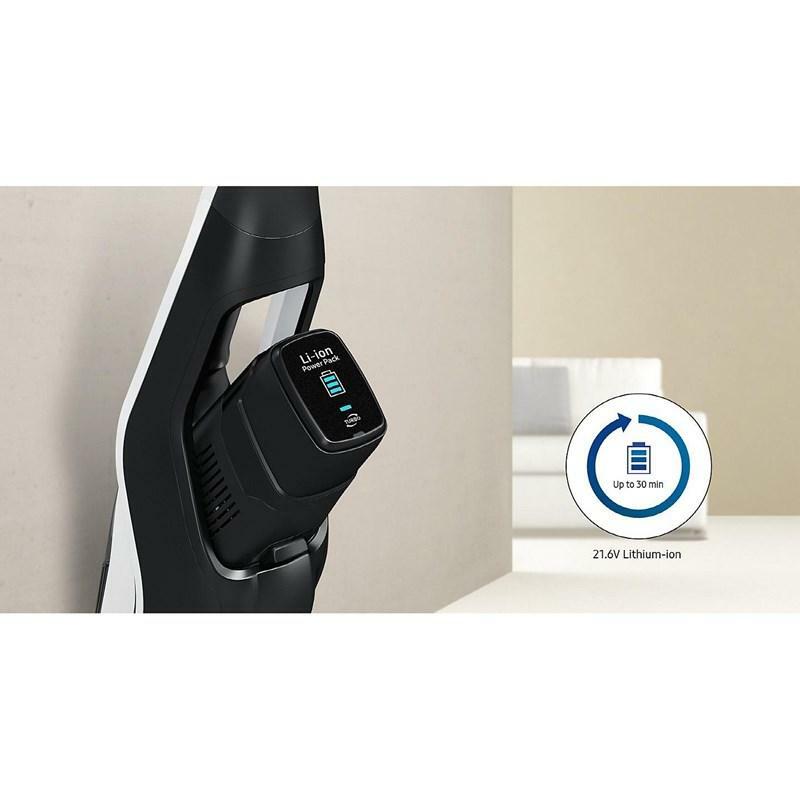 Samsung POWER™ stick vacuum delivers extreme suction power with its 160 w motor that creates 3 times more powerful suction than conventional models*. * Based on internal testing. 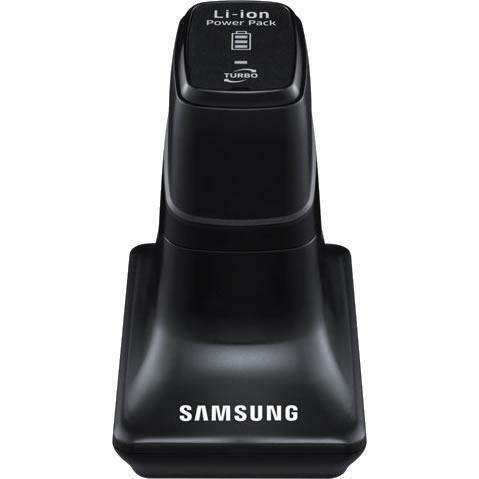 The suction power was tested compared to the conventional Samsung VC-LSS94 in accordance with the IEC testing method. 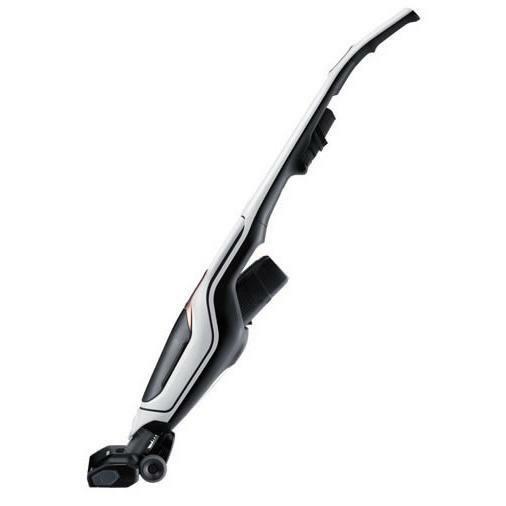 EZClean Technology lets you easily and hygienically remove any trapped dust or debris, including long hairs. 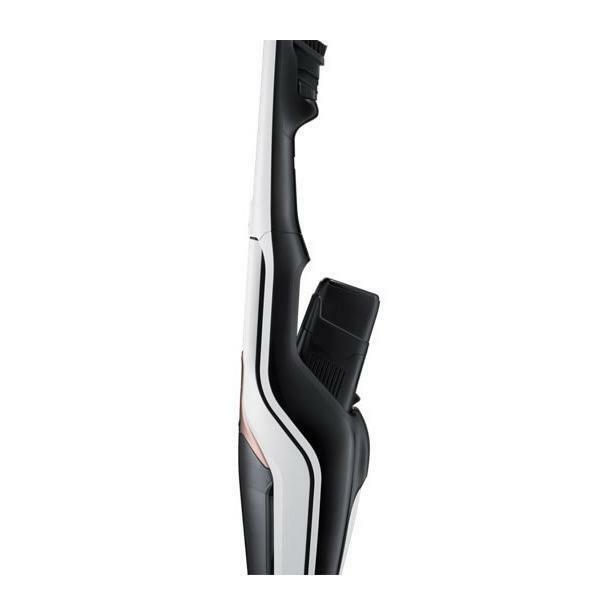 To empty the EZClean Dustbin you simply pull a lever and the EZClean Brush easily pulls out from the drum. 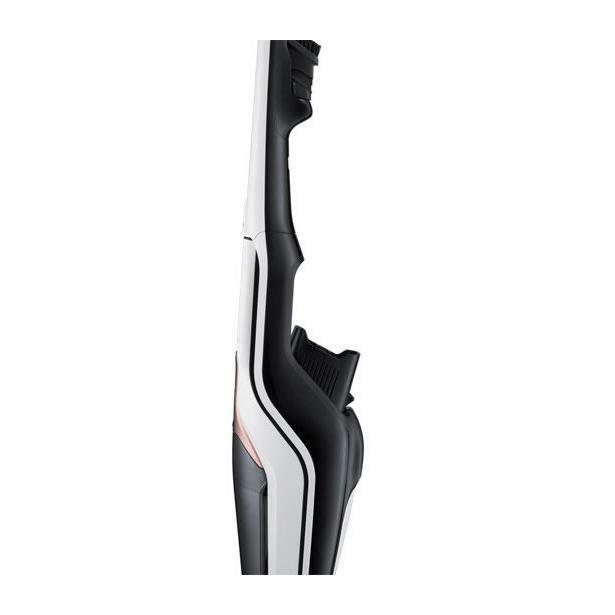 Turn swiftly around corners and obstacles with the easy handling design. 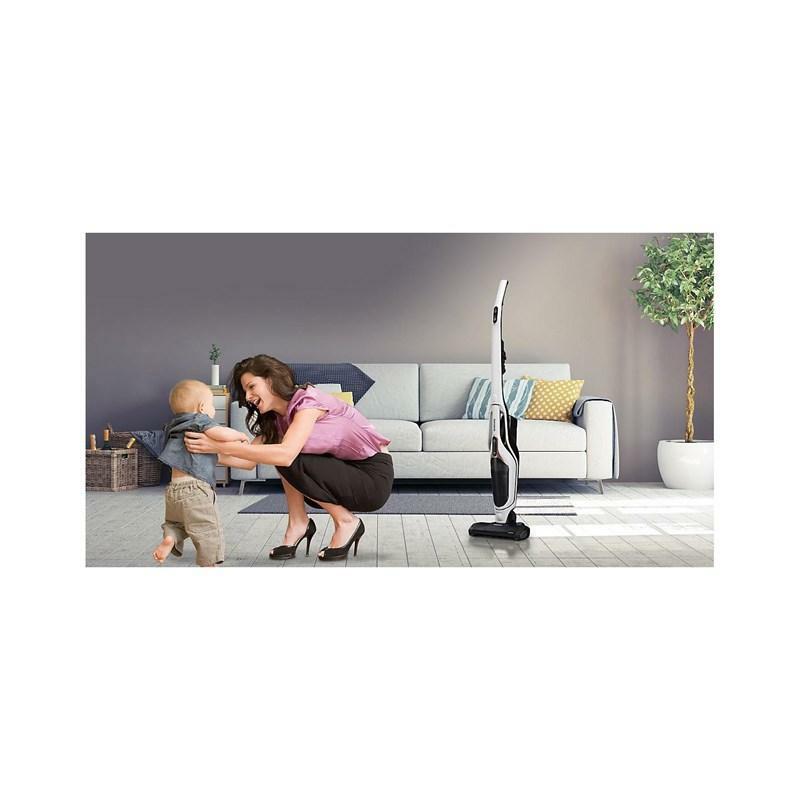 Its 180 degree swivel body makes it easy to maneuver around furniture, while its large wheels enable smoother and stable motion. 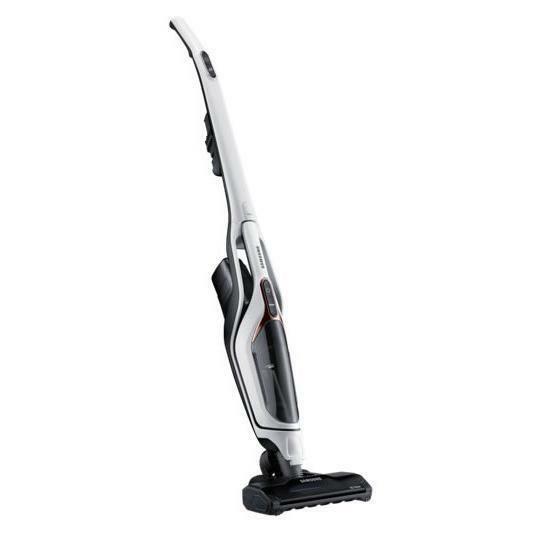 It works as 2 vacuums in 1 to clean a variety of areas. 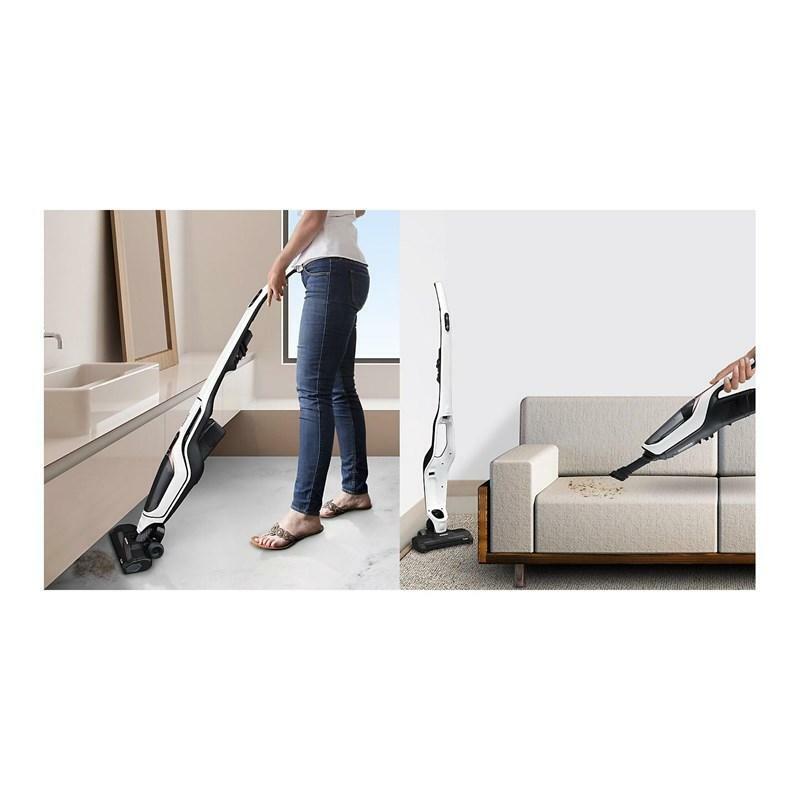 As a “stick type” it’s ideal for large floors, but simply by lifting off the detachable handheld, it’s great for cleaning smaller areas, crevices or furniture. 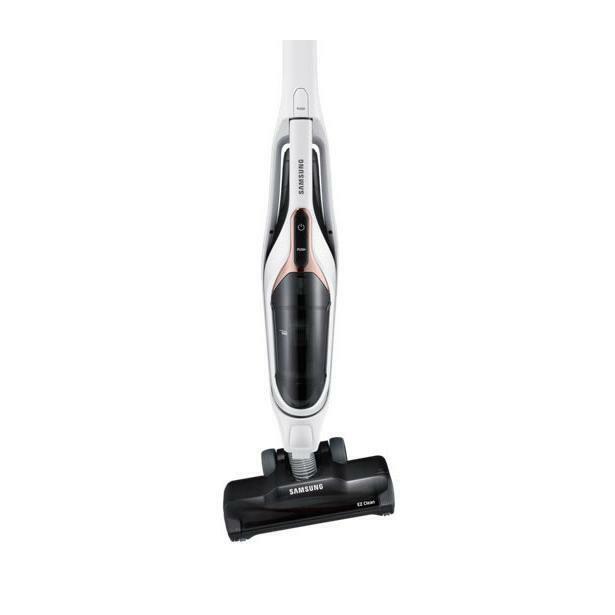 A powerful 21.6 V lithium-ion removable battery provides long-lasting power for up to 30 minutes*, so you can enjoy quick vacuuming jobs around your home without worrying about the battery running out. 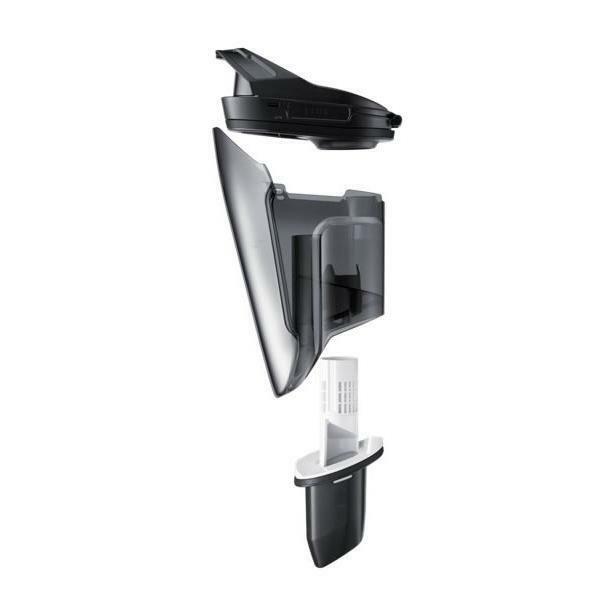 A convenient self-standing design means it can stand upright on its own. If something urgent happens or you want a break you can immediately stop cleaning and leave it upright. 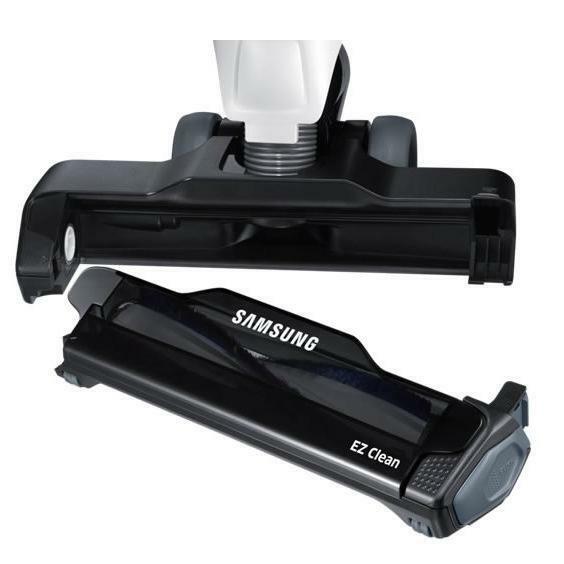 Samsung POWER™ stick vacuum includes dusting and crevice cleaning accessories that are built-in to the handle. Quickly switch to the best tool without wasting time looking for or attaching it. A simple, sponge type foam filter. 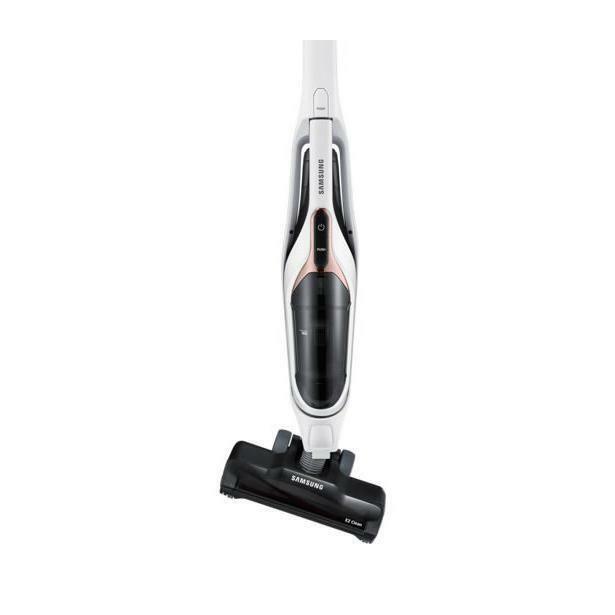 It captures more dust and can be easily washed and cleaned. A quick rinse is all it takes to prevent the filter from clogging. 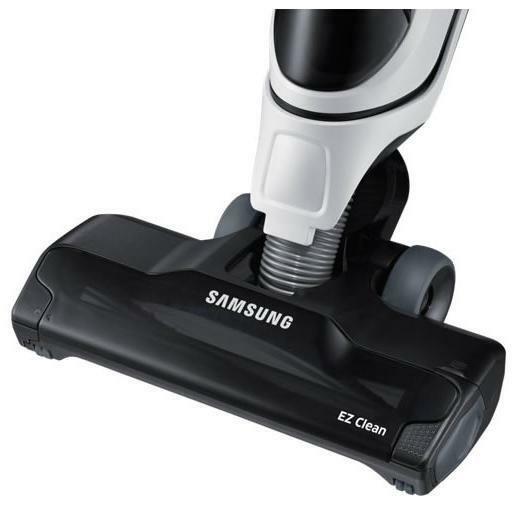 Samsung POWER™ stick vacuum has a slim and lightweight design weighing just 2.7 kg. It’s simple to control and move around the home with little effort. 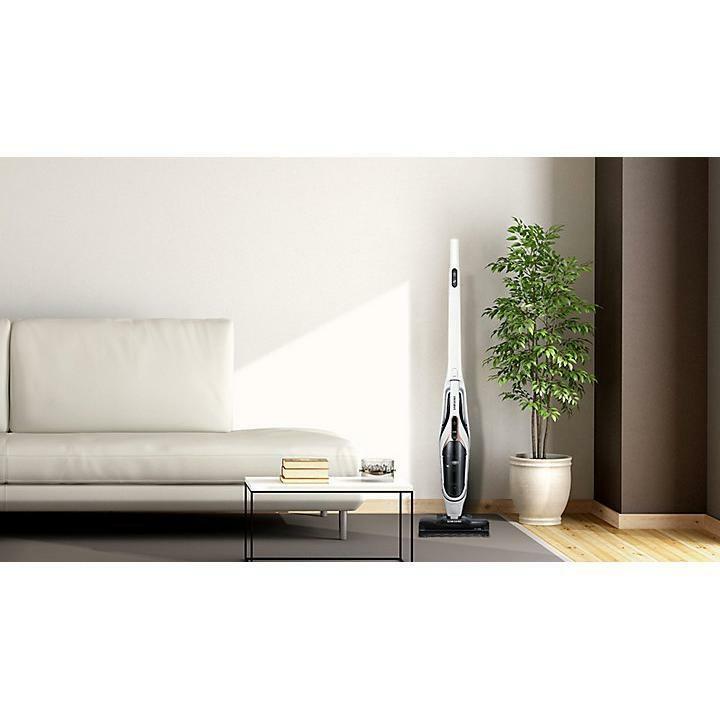 Its slim body fits into small, narrow places. 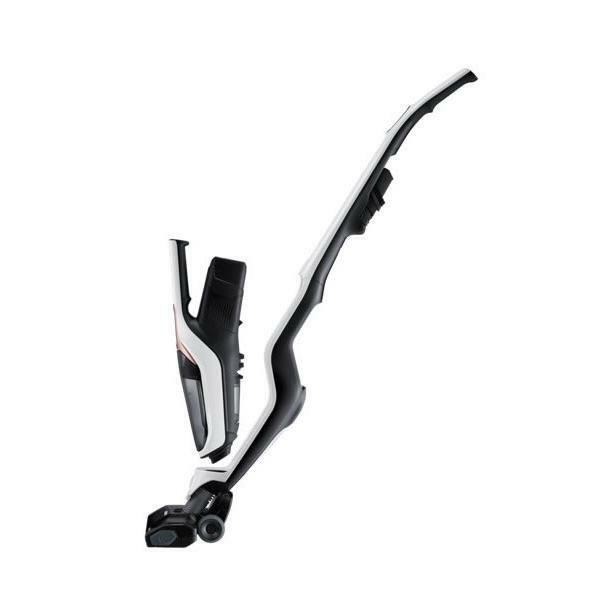 A long-reach tool makes cleaning tiny, narrow, high and hard to reach places simple. 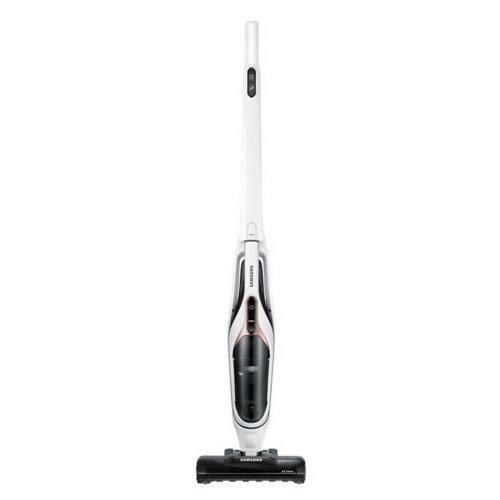 Just detach the tool and replace the existing brush to reach deep into small corners and clean high ceilings.